On Baggot Street in Dublin, Ireland, there is a home to which people of faith pilgrimage every day. They come from diverse corners of the world and vary in age and culture, but all share respect and reverence for the work of Catherine McAuley, foundress of the Sisters of Mercy. Catherine built the house in 1827 to serve as a refuge for disadvantaged women and girls. She cared for the poor, advocated for education, and devoted her life to service. The house was restored in 1994 and is now known as the Mercy International Centre. “We felt a connection from our institution to this place and this remarkable woman,” said Saint Joseph’s College Honors Program Director and Philosophy Professor Dr. Chris Callaway. Dr. Callaway, along with Psychology Professor Dr. Marion Young and Physics Professor Dr. Ryan Dorland, accompanied seven SJC Honors students on a trip to Ireland in May 2017, which included a visit to the Mercy International Centre. The group watched a video about Catherine McAuley’s life, toured the grounds, and visited her bedroom, her garden, and her tomb. In 1843 the first Sisters of Mercy arrived in the United States from Ireland and in 1912 the Portland Regional Community of the Sisters of Mercy of the Americas founded Saint Joseph’s College in Portland (the College moved to Standish in 1956). Catherine McAuley’s values and vision continue to provide the foundation for the College’s educational mission. The trip abroad was specifically designated for students in the Honors Program. When students are admitted to the College they are considered for admission into the Honors Program based upon GPA and proven dedication to rigorous academic study. The Honors Program provides small classes that allow for interactive and rich conversations. The purpose of the program is not to load students up with extra workloads, Callaway explains, but rather to elevate the depth of learning and intellectual inquiry through forming a cohort of motivated students. Beyond coursework, Honors students enjoy excursions to educational and cultural activities around the state, including concerts and performances in Portland. The Honors Program visited Rome two years ago and the plan is to continue traveling abroad to new destinations every two years. Students received two credit hours for the Ireland trip and its accompanying coursework (including reading How the Irish Saved Civilization: The Untold Story of Ireland’s Heroic Role From the Fall of Rome to the Rise of Medieval Europe). Beyond visiting the Mercy International Centre, the group drove along the coastline of the Dingle Peninsula, catching views of craggy cliffs and lush rolling hills. They kissed the famous Blarney Stone to receive the “gift of eloquence,” stared up in wonder at towering stacks of books at the Old Library at Trinity College in Dublin, and sat in reverence of the gothic architecture at St. Patrick’s Cathedral in Dublin. On their return trip, the group enjoyed a layover in Reykjavik, Iceland, which allowed for an excursion to the Blue Lagoon in Grindavík—a geothermal spa. 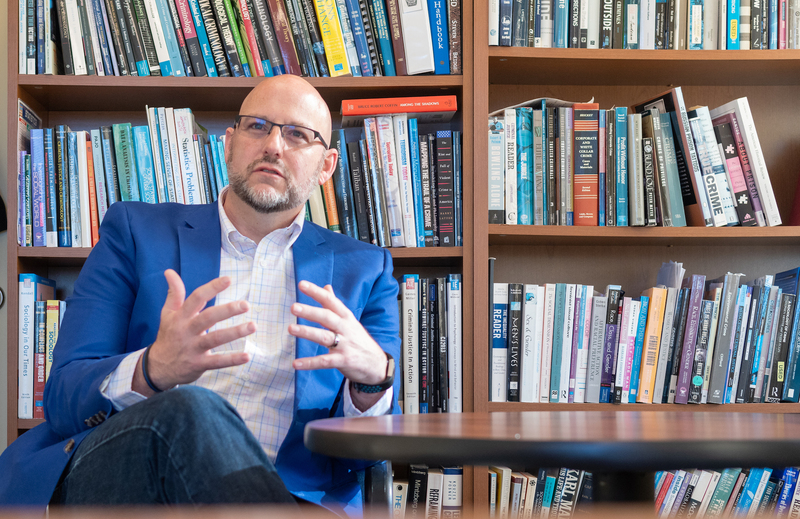 Dr. Callaway believes experiencing a different part of the world is beneficial to students, many of whom have not travelled abroad, noting that travel can serve as a catalyst for a more reflective life. “Philosophical questions can sneak up on you, like, ‘What is a good life?’ or ‘What is the nature of the mind?’ and they can affect the way you live your life,” he said. Connections is a career development program that supports experiential learning and personal growth. The College provides up to $2,000 in financial support for qualifying learning experiences during a student’s junior or senior year, which may include: an internship; a summer research or international studies project; or a volunteer or travel program. -By Emma Deans, SJC Communications Officer. Photos courtesy of Dr. Chris Callaway.